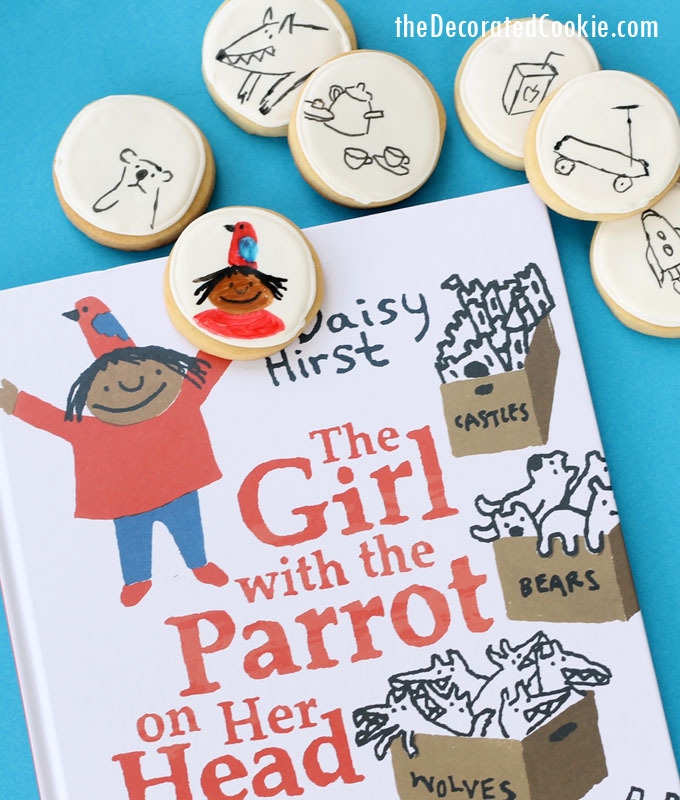 The Girl with the Parrot on her Head by Daisy Hirst (2015). This picture book is zany and perceptive, a very good combination. Mostly, I loved Isabel, the girl with the parrot on her head—her emotions and her imagination. It starts with a friendship: Isabel and Simon, “who was very good with newts.” They played together in the most imaginative ways, something we know only from illustrations of their treasure maps and pirate hats and funny props. But one day, Simon moves away. Isn’t that how it is after loss? Even the parrot leaves her head “to sit on top of the wardrobe.” Once she’s quieted herself, Isabel develops a system. And this is where things get really interesting. She puts all the items in her room into different boxes: castles, hats, cars, the wolves, the dark, a monster. 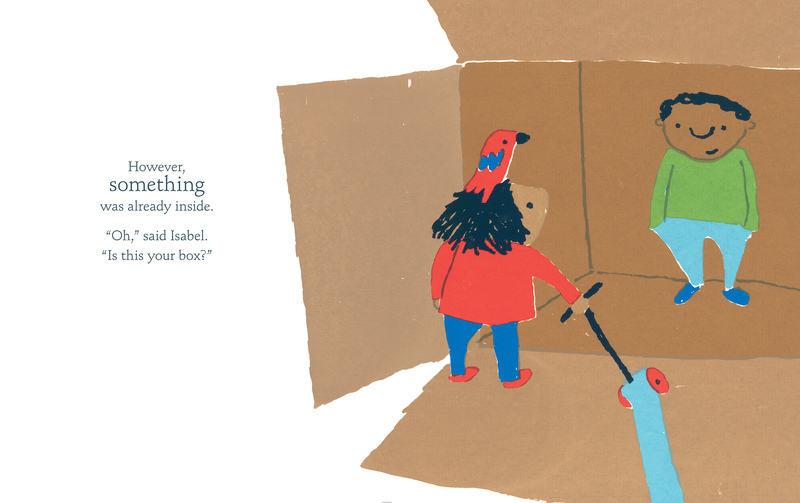 We hear that the parrot is worried about the stuff in those boxes, especially the biggest wolf and we know the parrot is a proxy for Isabel’s own fears. Fears brought on by her best friend moving, by change, by being alone. So Isabel must find a box big enough for that big wolf. But when she does, she finds another friend in that box too. Chester. Chester helps, the way friends do when you’ve got a big problem (or wolf) you can’t figure out how to solve on our own. And so the box is no longer necessary. It can become something a lot more imaginative, a lot more fun, a lot more…zany. 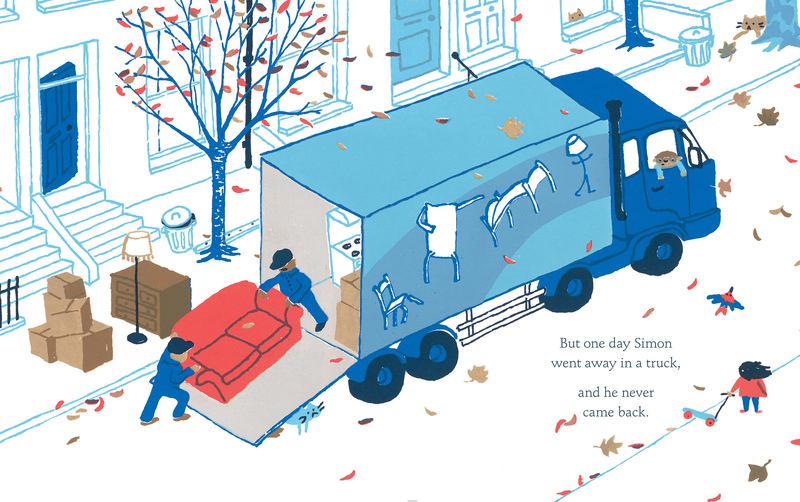 Big thanks to Candlewick for images! 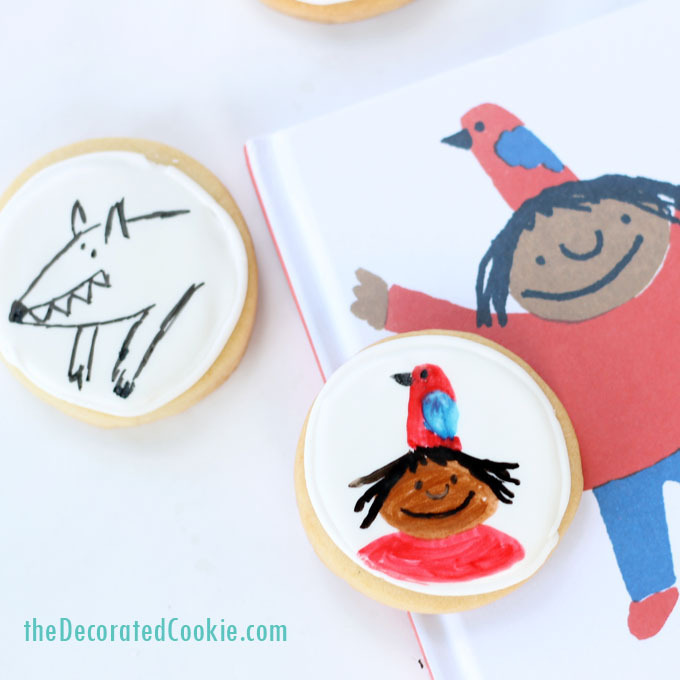 Cookie expert and children’s book lover, Meaghan from The Decorated Cookie, is here to share her doodle cookie recipe and craft inspired by The Girl with the Parrot on her Head. So lucky to be hosting her again! She’s made doodle cookies(! ), which are perfect for this book in so many ways. They mirror the illustration style and the endpapers, which have little white circles with doodles in them (one with a cookie). They encourage creativity and imagination, right in line with Isobel. And they offer a place to draw the stuff a kid might like and even the stuff she might be afraid of (e.g. wolves). 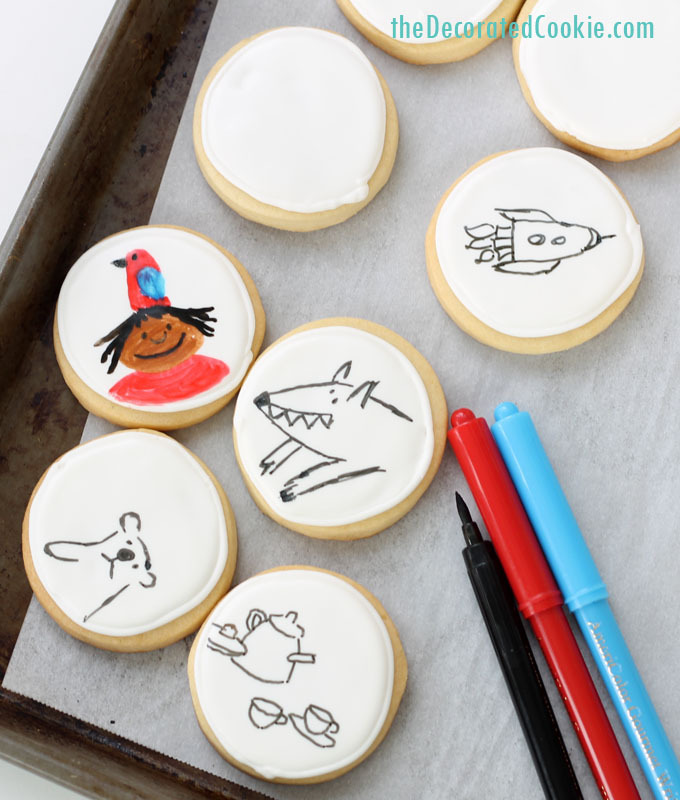 *Here are some helpful hints for cookie decorating supplies. Gift idea! Package some cookies topped with dried icing in a cellophane bag, add a couple black food pens, and a copy of The Girl with the Parrot on her Head. So lucky to host Meaghan from The Decorated Cookie again! See Meaghan’s post here. You may be interested in my last collaboration with Meaghan on One Word from Sophia too! Giraffe marshmallows! 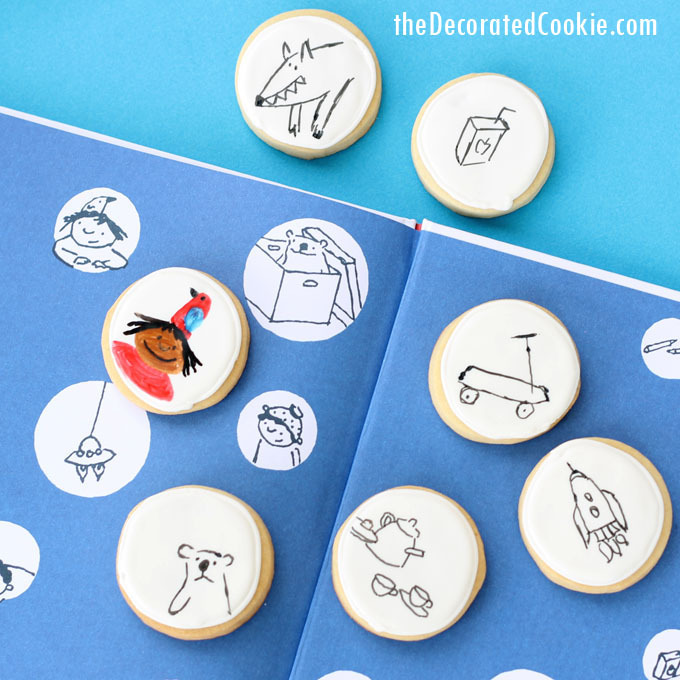 read the book, make doodle cookies! This looks adorable! Putting it on the to-read list ASAP!! LOVE the illustrations! Me too. I adore this book. Always LOVE your descriptions of books and being introduced to new work in this world. Thank you for letting me visit!! I’m so lucky to have you, cookie master! 🙂 Many thanks. 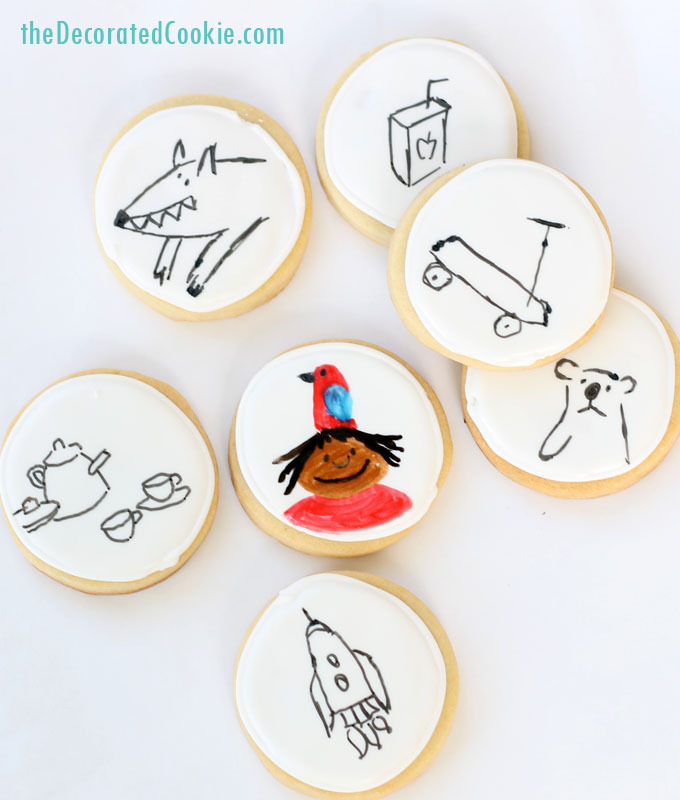 Cheers to kids books and cookies.